I noticed that an 86-DOS revision 1.14 turned up on Bitsavers recently, as well as a set of early Microsoft Pascal Compilers for Seattle Computer Products machines. I've updated the downloads to match what they have. Initially called "QDOS", 86-DOS was a "quick and dirty" disk operating system created by Tim Patterson of Seattle Computer Products for inclusion with their 8086 based S-100 systems. At the time CP/M had not yet been ported to 8086 and Microsoft ROM Basic was too limited. 86-DOS included a somewhat friendlier command interface than CP/M, incorporated a File Allocation Table similar to that used by Microsoft ROM Basic, and implemented a set of APIs designed to aid porting CP/M-80 programs. Although it had some functional similarities to CP/M, it was written from the ground up and did not directly copy CP/M. After its success, Gary Kildall of Digital Research alleged it infringed on CP/M. 86-DOS 1.10 was purchased by Microsoft and used as the basis for IBM PC-DOS and MS-DOS. There were different releases for different hardware-incompatible FDCs. 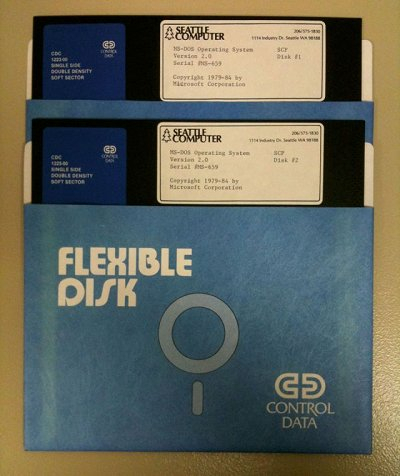 These included Cromemco, Tarbell Electronics and North Star Computers using 8" and 5.25" disks. The last time I checked, only the Cromemco 4FD version was supported in emulation. Similar to CP/M, the core of 86-DOS is broken up in to two components: The Basic Input Output System, and an Operating System kernel. The BIOS could be customized to accommodate each specific computer model without the need to modify the System kernel. When it was ported to the IBM PC, much of the BIOS was placed in ROM, partially to support ROM basic. There are some interesting notes in 86-DOS 1.14. The system file "86dos.sys" is dated 12/11/81, and the version string contains "1.14". explaining new features which are necessary to know to use the system. are available you will get copies. There is also an interesting, addendum mainly intended to describe the differences between earlier 86-DOS 1.0 and 1.10.
high-level language compiler or MACRO-86 assembler which you have purchased. later version will be available for a service charge (probably $25.00). code loaded from that sector. initialization program in the I/O system. function of the I/O system to load 86-DOS from the invisible file. interpreter, COMMAND.COM, from the disk and then jumps to it. space allocated to these files thus destroying them. file allowing multiple-segment files to be loaded. * DEBUG also can load .EXE files so that they can be debugged. * The assembler has had some rather significant features added to it. extention which tells the assembler what to do with the print file. assembler doesn't have to make a second pass through source file. find particular lines using the editor. this feature will be provided with the new release in December. DOSIO and INIT in the file NEWS.DOC. Pulling together several sources, this is a list of known 86-DOS versions. It is likely that not all of these were distributed, and only a few of the early ones have survived. located between the FAT and the data area. later known as FAT12 in MS-DOS/PC DOS. QDOS 0.11   08/--/1980 Bug fix shipment. 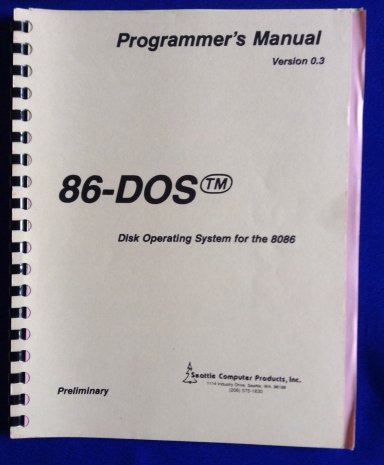 86-DOS 0.3  11/15/1980 First version licensed by SCP to Microsoft. 86-DOS 0.34 12/29/1980 "General release, updating all past customers"
known as FAT12 in MS-DOS/PC DOS later on. System for 86-DOS version 0.60 and later". 86-DOS 0.75 04/17/1981 Bug fix. "Improve and correct buffer handling"
echo, Functions 7 & 8"
86-DOS 1.01 05/12/1981 Bug fix. "Fix bug in `STORE'"
>> Roughly corresponds with IBM PC-DOS 1.00.
instead they shipped what they already had. 86-DOS. This is why there is technically no known "MS-DOS 1.00". Info from MS-DOS 1.x source files. Please note that at boot, some versions may print only the COMMAND.COM version number, or an OEM revision number that intentionally differs from the DOS revision level. Do not confuse this with the version of the DOS system. 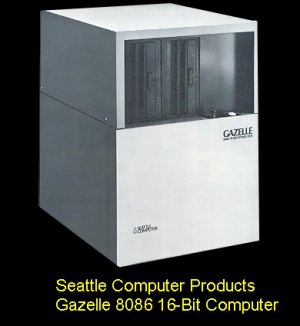 Seattle Computer Products continued to license and offer MS-DOS at least up to 2.0 for their S-100 systems.